Last Friday marked the release of my first full-length album, a collection of original old-time music called Time and Place. It also marked three years since I picked up my life, as so many have done before me, and moved to the United States, chasing those same opportunities and dreams that have beckoned from this country for hundreds of years. I grew up in New Zealand, an island nation in the South Pacific with a diverse immigrant population as well as a strong, prevalent native Maori culture. New Zealand has wonderful unique music and a singular way of life, but there’s no “New Zealand style” fiddling. Fiddle music back home never really crystallized into its own unique sound. Instead, musicians there play in a specific style, like Scottish, Irish, American, or a tune from here and a tune from there. 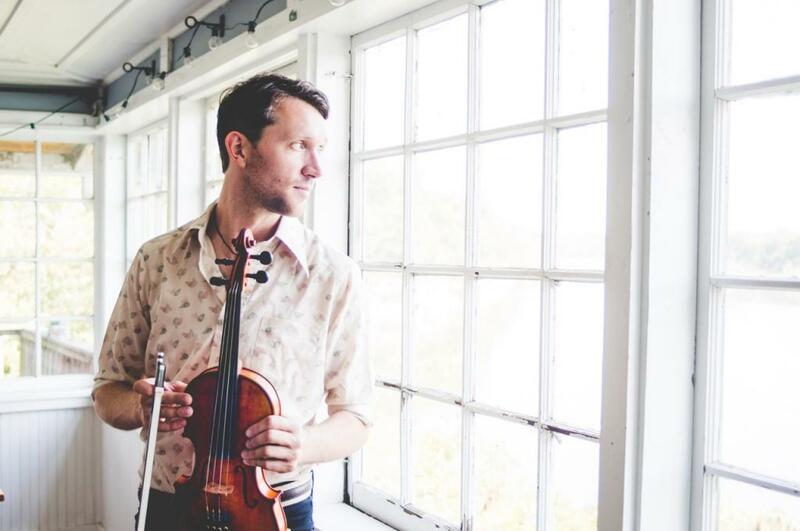 Fiddle music is thought of as a way to connect to one’s European immigrant heritage or to engage with a music style of interest from far away. When I started to get interested in fiddle music as a teenager living in this little island nation, I chose to learn a few specific styles: Scottish music, as that’s part of my immigrant heritage, and American bluegrass music, because I loved the sound of it. The first time that I really fell in love with Appalachian old-time fiddling was when I was visiting the region it came from, attending the Appalachian stringband festival in Clifftop, West Virginia, in 2012. I was 22, and this turned out to be a turning point in my life. I had been studying jazz for the previous four years in Australia in an attempt to improve my bluegrass chops, and upon arriving at Clifftop was just blown away with the opportunity not to take any solos for a whole week and do nothing but play melodies, feel the groove, and let go of some of that ego that comes with university culture and soloing generally. Upon returning to my life in Australia, I got more and more enamored with the melodies, rhythms, and tunes from Appalachia and tried to get back to the US as often as I could. It was three years ago this month that I made the move to the US, and I’ve been having a bit of a personal dilemma ever since arriving. I’m not American, but I’ve made a home and a career here primarily playing American music. It hasn’t always been easy to convince to myself that I have a right to claim a small part of something as American as old-time music, or that my version of old-time music is in any way authentic. Nobody has told me outright that I can’t or shouldn’t play old-time music, but my foreign-ness often feels like a handicap. My path to old-time music has led me to think about what gives anybody the right to be a part of any musical tradition. Is it where you were born? When you were born? Your bloodline? Who you apprentice with? What music you love? How long you have studied and delved into a tradition? What makes somebody’s playing truly authentic? When I was living away from America, I felt a certain confidence in my chosen genre, in an “I play American music, like Americans play it” kind of way. That was how I engaged with and felt my value as an authentic musician. But recently I’ve had a consistent anxiety about the possibility that I’m an imposter. Maybe my music isn’t the real deal, because I’m not from here. I have half-joked to friends about this particular anxiety, referring to the feeling as my “authenticity complex.” I’ve also talked to other immigrants in the US who sometimes struggle with the same moments of self-doubt when leaning into this cultural music. For a long time I would try to overcompensate for my lack of American-ness so that I could accept myself as part of the old-time or bluegrass music scene here. I’d pressure myself to learn how to play really traditionally, so that I could sound more “authentic” than others. I’d feel embarrassed when I didn’t know the original source of an old-time tune, or I’d try really hard not to call an “uncool” or popular tune at a jam session to show how deep in I really was. What I’ve come to realize since living here, though, is that this feeling of being an imposter may not be unique to foreigners. Especially in old-time music, where someone’s perceived authenticity is sometimes used as a form of social currency, there are plenty of folks who view themselves as outsiders and make up for that by using those same behaviors I did. Some people form cliques or look down on others’ playing to make up for their own authenticity complexes. In the end, all of these feelings and behaviors are born out of insecurity, in order to give one a false sense of being authentic. In reality, many great old-time musicians are not from the Appalachian region, and many people born and raised in Appalachia know little about old-time music. But the perception of authenticity through geography can be very intimidating to the newcomer, especially one already questioning their place in America to begin with. I have no desire to separate this music from its history or its geographical origins, its “time and place,” if you will. Like all cultural wealth, it should be treated with respect and understood within its socioeconomic and historical context. Old-time music belongs to the Appalachian people, but what greater way is there to honor and show respect to a tradition than to study it and carry it forward? As I’ve pondered this issue, and wondered how I could feel at home in this tradition, I began to write my own old-time tunes. It started out as a way to feel that I had a right to the music I was playing; no one could argue with me that I wasn’t playing my own tune in an authentic way. I could claim it was or old-time, or just say that it was my own style if that didn’t seem right. And that got me thinking: Most of these old-time American tunes were written or passed down by immigrants or people of immigrant origin. Maybe I’m even more authentically old-time than I realized, being that I’m a real immigrant, a mere three years in. In the process of writing my own tunes and recording my own album, I opened myself up to what is really authentic. I’ve finally accepted that, of course, there’s no one way to be authentic. But there is beauty in being true to yourself and your own passions. In disregarding what others think you “should” play based on their perceptions of you. This is the path I have chosen to take with my old-time album, Time and Place. Maybe, to make a grandiose statement here, this is me stumbling upon the spirit of that elusive American dream I’ve always been after. The strength, after all, of American music is that it’s melting pot music. You can hear the history of immigration to this country through it. It’s African, European, Latin, and maybe every now and then a little bit New Zealand in a fiddle tune or two. To comment on this or any story on nodepression.com, drop us a line at letters@nodepression.com.